Organizing your finances can seem like one of the most daunting tasks known to man. In fact, anything related to money seems to be avoided by most millennials. But now, rather than later, is the best time to get serious about your money. You’re young, you don’t have as many financial responsibilities, and if you start while you’re young, you’ll be better off in the future. 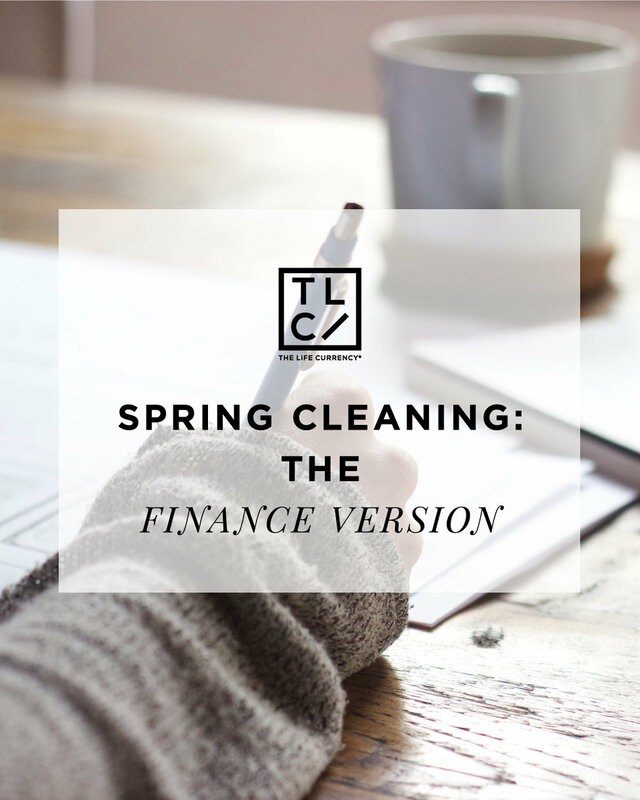 I spoke with Ashley G., a finance expert at Capital One in NYC, on the importance of spring cleaning your finances and how to organize your money this season for better spending habits throughout the year. “The beginning of the year and the spring is the perfect time to get your finances in order. As summer approaches, you want to already be in a disciplined state that you don’t get caught up in the summer fun and forget about your budget,” Ashley explained. She also shared a few important tips that should help you organize your finances. “This sounds so cliché but you’d be surprised at how many people don’t have a budget,” said Ashley. “Even if you’ve never had a budget before, now is the time to create one.” Many financial experts have noticed that people with budgets are more responsible with their spending and tend to be better at saving. “I believe people should physically write out their budgets but in the age of technology, an excel spreadsheet has been proven to work just as well,” Ashley further explained. “It’s important to know where each and every dollar is going. That way it’s easier to see what you need to cut back on. Are you taking too many Ubers? Are you eating out too often? A budget will help you allocate your monthly income so that once your funds for transportation are gone for the month, they’re gone.” More than anything, you have to be serious about your finances. Be disciplined enough to not tap into your savings account whenever you’re running low on funds. Just like you have a calendar for your social activities, have a calendar for your finances. “On your calendar be sure to note when you get paid and when each and every bill is due,” Ashley suggested. Personally, I’ve been using this method for a while now. I find it much easier to remember due dates when they’re written down somewhere. I can’t remember them all in my head. If I have a bill that’s due on the 15th of every month, I make note that the bill is due on the 12th. I find this method helps me stay ahead of payments and avoid late payment charges. “I don’t know why people think they can do it alone. If you need help, don’t be afraid to ask for it,” Ashley advised. “Finances can be tricky. What works for one person may not necessarily work for you. There are so many tricks and tips out there but you’ll never know if you don’t ask.” This tip can be used whenever and wherever. Ask your friends, parents and peers about tricks that work for them. Keep in mind that if you find it doesn’t work for you, don’t use it. Find a system that works best for you. *Editor’s note: Ashley’s advice does not reflect the views of her employer. These are her personal tips that she has found helpful over the years.